What Software Should You Choose For Your Small Business’ Accounting? Where SMBs are concerned, accounting doesn’t form a core nexus of the business but it’s a conduit for financial intelligence on your business. And to service its requirements there are plenty of software designed specially to cater to specific accounting tasks depending on your field. While some companies may just be setting up, or are already using certain software, sometimes – depending on the size, growth and functions carried out, type of industry, budget etc. – it may be required to either pick what software is your right fit, or re-evaluate and decide whether your current software still works for you. 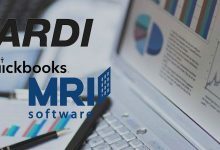 So here is some due diligence data on accounting software being used by SMBs, and how to ascertain what will be of best service to you. QuickBooks is the more generic software that can be used for smaller companies belonging to a number of different industries. It’s very standard, offering all the basic functions of accounting and bookkeeping, like invoicing, payroll management, management of vendor/supplier bills, expense tracking and inventory tracking, and financial reporting. This software is probably most familiar to accountants. Sage may overlap in a few places with QuickBooks, but its feature-rich project management services is its USP, making it the choice for collaborative needs. 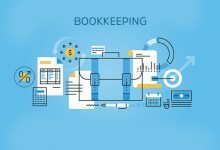 Being a management tool, while it offers expense and income tracking, invoice reporting and a few other bookkeeping tools, it can’t handle all bookkeeping services. It offers project management on the cloud, invoices and quotes, an option to add unlimited collaborators, and different plans to assist with scalability. It allows users to add bank accounts although transaction details won’t sync automatically. Unlike QuickBooks, it offers payment processing either through PayPal or it’s own in-built system. This is suited for small companies. FreshBooks offers fairly lower pricing plans. It offers invoicing and is popular for its expense management and time-tracking features. It allows clients to accept payments. It’s used by freelancers and service based small business owners. Their customers rave about the customer support. Xero is suited for companies that sell products online or offline because of its inventory tracking and its capacity for purchase orders. It offers a directory of accountants and bookkeepers to work with depending on your industry and the specialization required. If offers multifarious accounting tools, like accepting online quotes and expense reporting, and allows unlimited users irrespective of your subscription plan. It accepts payment in over multiple currencies (the conversion rates of which are updates hourly) and automatically reconciles your account. It is remarkably easy to use with easy navigation, and offers excellent customer support. In terms of features, it offers a few more in its standard repertoire that QuickBooks offers only in their Plus version. Zoho’s bookkeeping application is part of the Zoho business software suite. So it becomes a good choice if you plan on using their other tools, too, such as their CRM, project management and business finance software. Apart from standard robust all-encompassing bookkeeping tools (providing estimates, following up with invoices, tracking inventory, handling bill payments), they offer real time inventory tracking. It is a suitable software for people selling services and not just products, freelancers and one-man shops. If you don’t need all the features you could choose a simpler software. However, consider whether that software can be scaled along with your enterprise’s growth. So there you have it! The most patronized software of the industry and what services they offer, to help you decide your right fit.